New Zealand is a country filled with low build-quality residences, with minimum or no insulation. A good number of houses likewise have difficulties with dampness. During the summer you can feel too hot, and then in winter you’ll be cooled to the bone. If at all possible, hold out for a modern day, insulated home - unless of course it’s one of many leaky ones. Turning up the home heating might briefly add a degree or two of heat to your shed you now call home, but wait till you get the initial utility bill. It’s then you’ll wish you’d followed point 1. If you’ve purchased a garden shed disguised as a home, you can insulate it, double-glaze it along with install central-heating so it will be similar to a home in another developed nation. 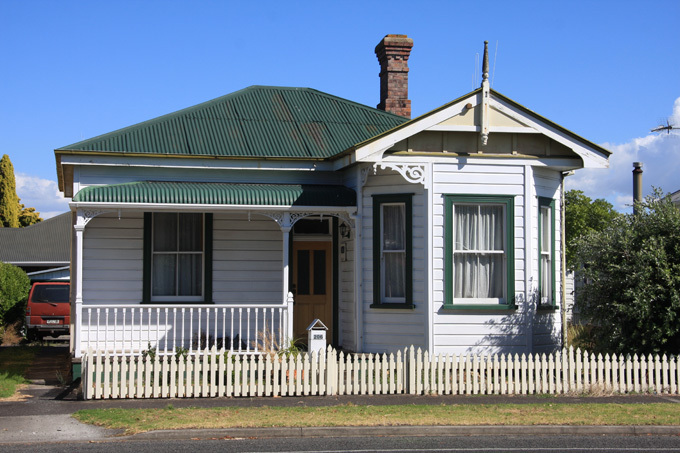 It'll cost you a lot of money, however until you’ve resided (and frozen) in one of these outdated New Zealand houses; you can’t really understand the value of these improvements. If you’re renting a shed, you’ll either need to pay the huge fuel bills or, as Kiwis will say: “harden up and wear another jumper” (or a coat!). Buying and using a home dehumidifier will likely be the quickest, most affordable way to make your house a little more comfortable. New Zealand is geologically active, so you’re at risk from earthquakes, tsunamis and volcanic eruptions. Thousands and thousands of men and women have relocated from New Zealand to Australia. Since New Zealand’s human population are lower than 4.5 million, that’s a lot of people voting using their feet for Australia and against New Zealand. Every New Zealand resident has the right to reside and work in Australia. The large numbers fleeing the country lead to regular outpourings of fear in media. Short of Australia legislating against New Zealanders, or New Zealand producing North Korean style legislation, New Zealanders will keep moving to Australia, where the mining boom has continuously forced Australian income to among the largest in the world. New Zealand really is a long way from anywhere else - totally obvious, it may seem, yet it’s something lots of people who relocate here forget about until eventually they actually get here, then they learn it’s too costly to visit family back home annually. People from the UK and USA complain that it’s less expensive to purchase return flight tickets into NZ rather than out of NZ - watch out for that if you’re planning. New Zealand will make you wrinkly before your time. The summertime sun is extremely strong - much stronger than individuals from Europe (along with the Mediterranean) or North America are familiar with. Sun-screen is crucial, or your skin will be damaged. You will notice skin damage on a great deal of born and bred New Zealanders, a number of them not particularly old. Sunglasses will also be a necessity, since cataracts are a real danger too. Living costs for lots of grocery and consumer items are going to be higher than you are accustomed to. The large economic climates of scale that are seen in many countries are missing in New Zealand. Anticipate your shopping bill to be more than it was and also to have fewer alternatives in virtually every shop than you’re accustomed to. Decorating and equipping a residence will also be pricey.